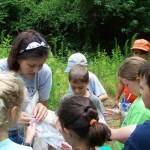 The SFWS and its partners utilize the School’s facilities and outdoor classrooms to serve thousands of people each year with K-12 educational programs, skill development workshops and technical seminars, field training exercises, research project assistance, and community programs. The Kreher Preserve and Nature Center (KPNC) is a 120 acre-property featuring marked trails, educational kiosks, demonstration gardens, historic homestead, and improved facilities including a pavilion and amphitheater frequently used for community programs. SFWS students both learn and serve in several capacities here. They might conduct research projects, lead hikes, help with educational programs, develop interpretive signage, or learn different aspects of park operations. The KPNC is free and open to the public seven days a week. 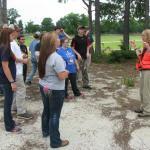 Annually, the preserve and its programs serve nearly 30,000 residents and visitors to the Auburn/Opelika area. The facilities are available for rental and private use for groups and individuals. Learn more by watching a short introductory video: KPNC Video. Visit the KPNC Website. Contact the KPNC via email at preserve@auburn.edu or phone (334) 844-8091. This 400-acre property is a designated demonstration forest located just outside Auburn. 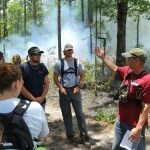 Faculty and students have used this land to develop recreation or education management plans, conduct fire behavior projects, and to gather for a yearly ”Ice Breaker” cook-out. Read more about this facility in the MOTDF Brochure. Located in Andalusia, Alabama, this 5,300-acre outdoor classroom and program venue was donated to the School of Forestry and Wildlife Sciences for educational use in 1980. 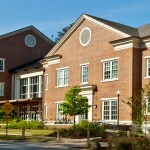 The Dixon Center includes a 100-seat auditorium, various classrooms and meeting spaces, dining and recreation halls, and several options for overnight accommodations. In addition to its use as the SFWS site for summer practicum, the Center is also available as an event venue for private/semi-private groups and often serves other universities, not-for-profit organizations, and government agencies. Learn more about the facility, visit the SDFEC Website. Contact the SDFEC via email at marti12@auburn.edu or phone: (334) 222-7779. This 11-acre tract of forestland sits just behind the SFWS building on the Auburn University campus. 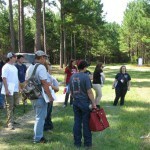 Students receive instruction and have participated in management projects. They have cleared a walking trail, worked many hours to clear invasive species, and helped develop interpretive signage in this tract and another stand just across Donahue Drive.